This was drawn with a 3B leaded pencil, on a 8�" x 11" High Bright (87) smooth finished paper. 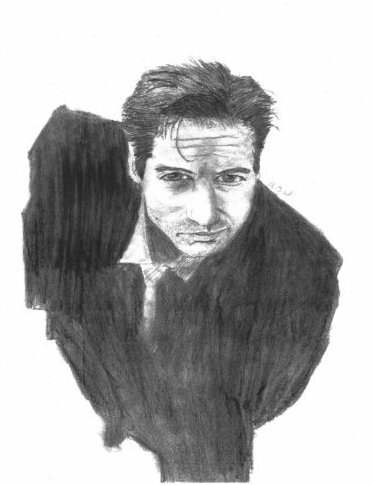 This was my second attempt to draw Mulder. I used a soft tortilon for blending and picked out all the highlights with a kneading earser. As most of you know you have seen this pic before. I look for all my pictures on the net or in magizines.Again this is a copy of my orignal drawing.